They might be a little bit past their peak, but we still wouldn’t fancy coming up against this XI. 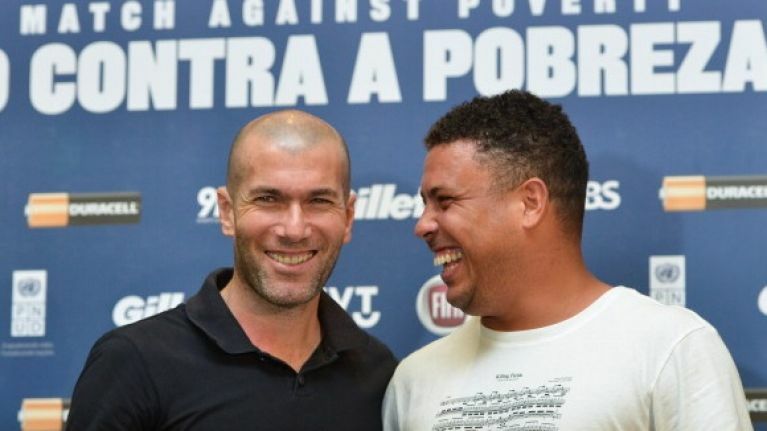 The former Real Madrid teammates are helping to organise the eleventh annual Match against Poverty in Bern this evening, with the proceeds set to be donated to the victims of Typhoon Haiyan in the Philippines. Gennaro Gattuso should have the legs on his teammates because he’s a little bit younger than the rest, but if you’re looking for a who’s who of great footballers from the mid-90s to the mid-2000s, you couldn’t do much better than this.